Welcome to another update on the development of NeuroSlicers. The first month of the year has gone by in a flash, but it’s also been crazy productive at Dream Harvest towers. This month we’ve been focusing on character design and narrative along with AI which will allow us to move onto the first lot of solo and co-op missions/contracts for the Alpha. Exciting times! Anyway, there’s a lot of cool stuff to share this month, so strap in and get ready for visual overload! Hello fellow Slicers, this first month of 2019 has been rich in new, higher fidelity, concept art research, as our 3d production pipeline has been updated the month before that. It is now easier to plan for more complex units and characters as we know we can produce them in 3d more efficiently. You’ve likely seen this one already, but its the first marketing concept for our Co-Op boss battles. Salutations padowans, not a day has passed without me thinking about myself. And before you go calling me selfish, take a good look in the mirror. Now that I’ve offended everyone that’s not psychopathic, it’s time to talk the big talk – aka game dev. The last few weeks have involved me trying to explain what I want from a stubborn inanimate object. Yes, I am talking about AI, and no, it’s not the machine learning type. Well, it a machine that’s learned from everything I have to teach it, but it’s not a machine that’s “learning” and it’s definitely not what the industry considers a classic ML case of a Neural Network agent. In any case, after trying to speak the AI’s language for a while, I instead made it speak my language and then things started going along much smoother. And by “my language”, I, of course, mean MOTHER FORCKING NUMBERS. Each Action group can be done in parallel since they use separate resources, but actions of the same group must be executed sequentially and, which means all but the top action need to wait. The “Wait” action is particularly interesting because it’s a static action that forces the AI to take a break – otherwise it will spend as many resources as it has. This action makes sure that if other actions fall beneath its threshold, they don’t get executed until their rules bump that action up again. After 3 weeks, I can say that it’s far from perfect, but it also serves a good enough purpose as a punching bag for new players. And since I’ve tricked you into reading so much text, I deserve a pat on the back – after all, someone has to look out for myself. And remember, that machines are the biggest psychopaths there are. With that cheerful thought, I’ll leave you be. Milcho and I made our way to London at the beginning of the month for the annual PG Connects event at the awesome Old Brewery Venue. This is one of my favorite B2B industry events due to the relaxed atmosphere and an amazing number of super talented developers that attend. 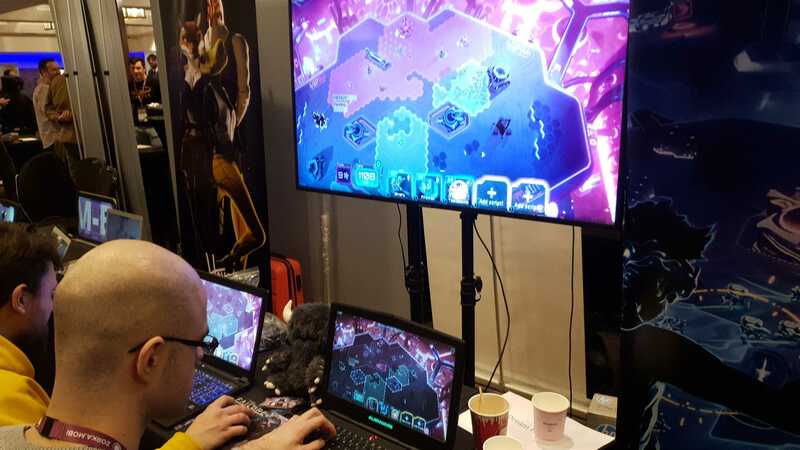 We luckily got selected to show NeuroSlicers on the show floor and also got invited to the Big Indie PC Pitch contest. 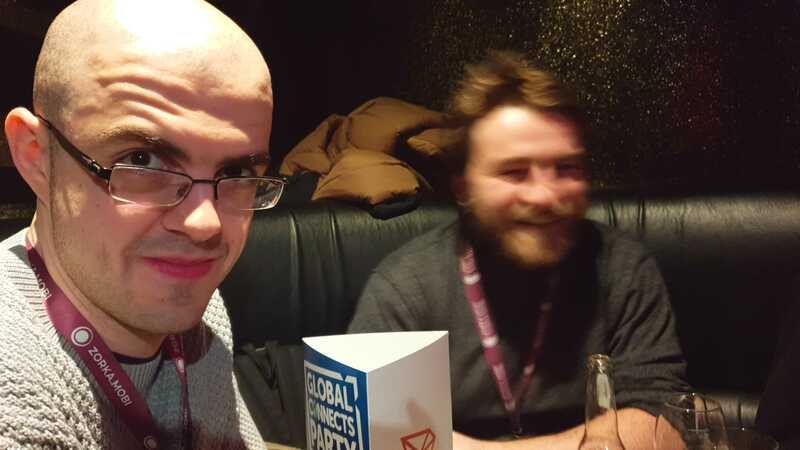 I’m happy to say that we came 2nd and walked away with a nice prize of some marketing money from Steel Media, the company that puts on the event. Milcho and I had the great idea to buy a TV and stand for the event as the rental prices were complete madness (£400 to rent a TV……). The only issue is we had to lug it from Worthing up to London on the train…. which was fun. Wish I’d taken a photo, but on our way back it started snowing and everything weighed a tonne. 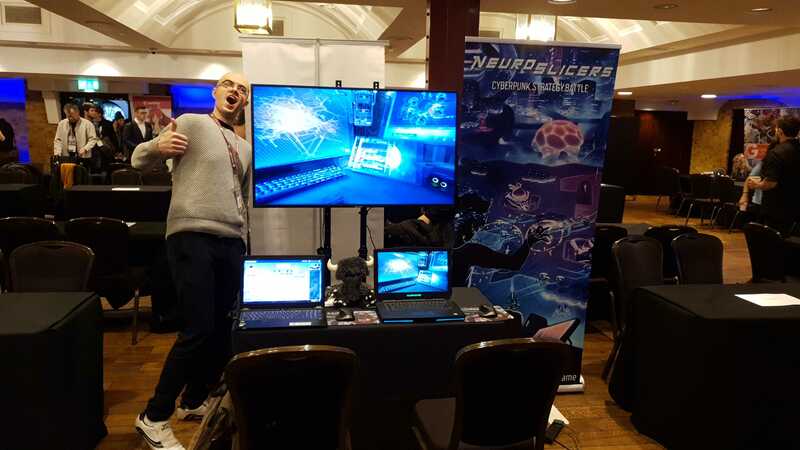 Anyway, we’re looking forward to taking NeuroSlicers back on the road in the future, hopefully to a show near you……just need to buy a car to help with the amount of luggage we now have. 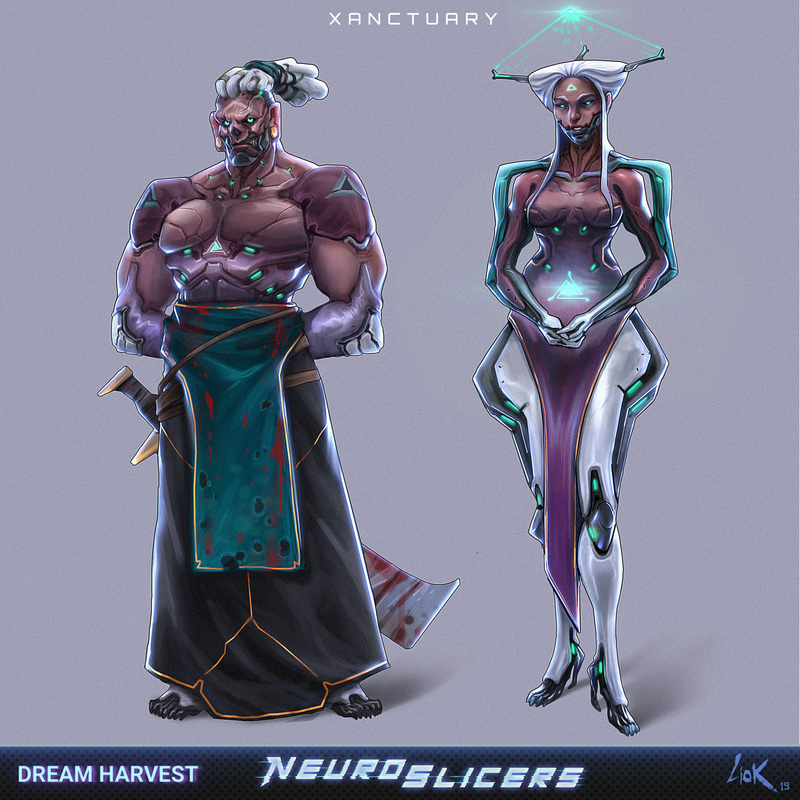 We’re still looking for more insights from our community regarding their thoughts on the state of the Strategy game market, what you like and dislike about it and how we can improve things with NeuroSlicers. The survey is anonymous and should only take around 4 min to complete. Help us out by clicking Here.